Music is a powerful thing; am I right?! Worship is an amazing catalyst to shape culture, bring inspiration, connectivity, and even create a movement. When I began to fall in love with music, it quickly became apparent to me just how much music is so intertwined with our Christian faith. How beautiful it is that God chose music as a tool to connect and engage with Him. This past Sunday, I shared 2 worship myths that I believe we all have fallen prey to at some point in our journey.  God has graced Society Church with a beautiful eclectic group of people who come together every week. We each have different experiences of the local church, faith, music and our own personal worship expressions. As we grow together as a community, we feel it’s important to start having conversations that help shape how we approach community worship at Society. So here is a little recap from Sunday. Worship is about ME. The perspective shift: Worship is not about me, but about God. Let me preface this point by saying I don’t believe worship music should be without taste, skill, creativity, ownership, and a heart-felt response. However, this cannot be the foundation ground upon which we engage with worship. Worship is meant to take the focus off of our ourselves and is intended to focus our attention on God. 15 Therefore, let us offer through Jesus a continual sacrifice of praise to God, proclaiming our allegiance to his name. I would encourage you to not worship based on preference and wait for your favorite song to engage with God! You will sacrifice encountering God’s presence every time. • Participate! Sing, clap, & lift your hands. These are all tangible ways to offer surrender to God and acknowledge his authority in moments of worship. • Your participation is also an encouragement for others to join along with you in corporate times of worship. Worship is just for Sundays. The perspective shift: Worship is meant for every day—not just one day a week. What you feed yourself on is what your life will reflect. If you aren’t allowing times of worship in your everyday life, I guarantee you, it will be hard to participate in Sunday morning worship. It won’t make sense. Taking time to worship in your everyday life feeds your soul with praise to God! Worship encourages His presence to have significance in your life. It’s feeding your heart and mind with God’s thoughts. Singing about God, I believe, can bring stability and clarity in our hearts and minds. Begin to create a pattern of worship in your life. When we gather together, we can collectively lift up one voice that earnestly seeks after God. When worship is awakened within us, it has the power to change the environment around us. The encouragement is…don’t wait! Don’t wait for the worship leader on a Sunday morning to create a space of worship for you. • Start your day reading scripture and filling your mind & heart with a God song. • Create a worship song playlist that speaks to areas in your life that you need the Lord to breathe life into. For example, are you experiencing a lack of hope? Sing about a Hope found in Christ. Are you experiencing guilt and shame? Sing songs that speak to the forgiveness that God offers. Do you need some joy! Sing songs about the joy of the Lord, who is our strength! Be intentional. Here are a couple of new songs that I have been worshipping to and that we will begin singing together at Society. Enjoy and let’s get after God’s presence in worship together! I feel so blessed to be apart of Society! I just wanted to say thanks to the Worship team and all who serve by creating the environment during our Sunday morning services/Chapel nights etc. I agree, of course, that worship of our Mighty God can occur anytime, but there is something special which happens with corporate worship. I have had profound interactions with God during our Sunday services at Society. When I look across a room and witness all walks of life coming together in different moments of their life and proclaiming as one that there is only One that deserves everything! And that One is Jesus! A piece of the Kingdom of heaven seems to be in alignment with something as beautiful as that! All of the trials that humanity is faced with during our stay here on earth and the answer is the One who came and volunteered to take the ultimate demotion, suffering humiliation, shame, physical agony, and death. Separated from His perfect family for us! He provides Himself as all we need because He defeated the grave for Himself and for those who will trust Him to be the answer! So as I hope to increase my worship to our all-powerful, glorious God throughout my life whether at home, work, or rest, I do thank Society for providing an amazing corporate worship experience! My batteries are recharged after a session of worship at Society. I think the worship team is so blessed with talent! Thanks for all who provide set-up and take-down. Thanks to those who work to hone in the sound and provide the lyrics on the screen for us to reflect upon. P.S. -I forgot to mention the one song that I am personally into right now is,”Father You Are All We Need” by Citizens & Saints. I recommend that one.